To mark the release of Jungle on 1st January, we’ve been given 3 copies to give away on Blu-ray. 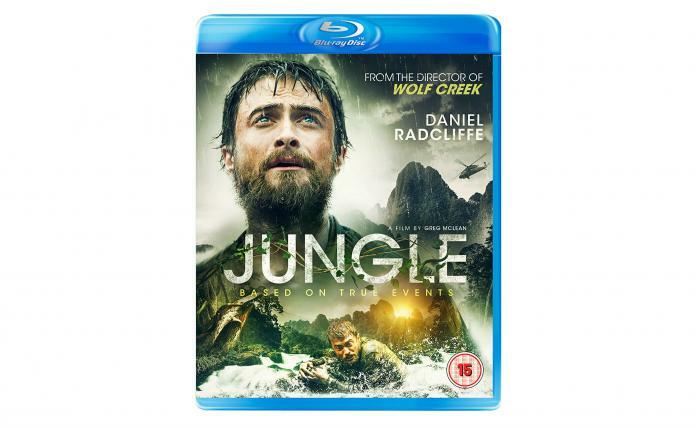 Young Israeli Yossi Ghinsberg (Daniel Radcliffe) leaves a safe future behind to chase an improbable dream in the mysterious depths of the Amazon rainforest. When he and two fellow adventurers, Kevin Gale (Alex Russell; Chronicle, Unbroken) and Marcus Stamm (Joel Jackson; TV’s The Wrong Girl), meet the charismatic Karl Ruchprecter (Thomas Kretschmann (The Avengers: Age of Ultron, Central Intelligence) and follow him into the jungle, what begins as the realisation of a dream soon turns into a harrowing psychological fight for survival.